Not getting the illumination you’re used to? Are your car’s headlights looking yellowed, foggy, and generally a bit grubby? 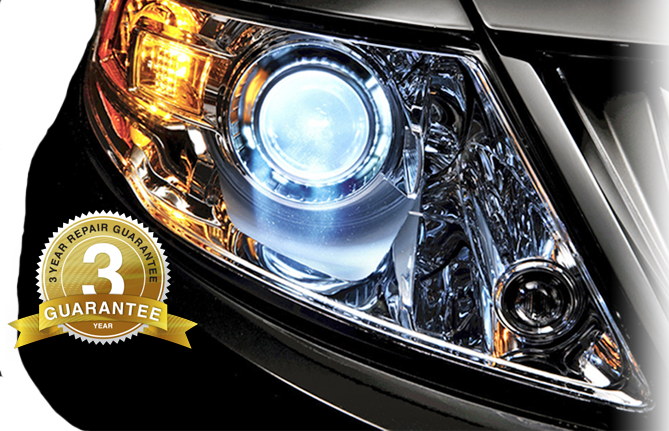 It may be time to book affordable headlight polishing in Essendon with Rightway. It’s not just you who relies on having the right lighting while driving at night. Dull or diffused illumination can be a danger to oncoming traffic, affecting their ability to effectively gauge your distance and bearing. What’s more, you potentially risk hundreds of dollars in fines for driving an unroadworthy vehicle. Save yourself the time, stress and money and have our professionals get one of your vehicle’s key safety features working at 100 per cent today. Our specialist team are proud to serve car-owners across Melbourne, from Richmond to Essendon. Our prompt, friendly service doesn’t cost an arm and a leg with rates ~. We also offer some of the cheapest headlight polishing packages in the city, alongside a range of complementary services, such as scratched headlight repairs. Any vehicle, any make, any model, we do it all with a smile and at a great price. Backed by one of the industry’s most robust and generous guarantees on workmanship – three years – we promise a sterling service each and every time. Whether you just need to get some clarity back or both lights need significant repairs, we’re there for you. Let us show you why we’re the preferred technicians for some of the city’s most demanding car-owners. Founded and operated by a team of dedicated auto enthusiasts and mechanics, Rightway is the only team you need in headlight restoration. Since 2011 we’ve been helping people across Melbourne get the full benefit of our professional knowledge and experience, getting everything from classic cars to the latest, newest vehicles safe and roadworthy once again. For more information or to book your appointment, call us on 0417 943 977. Got a question you need answered? We welcome enquires via our contact form, or you can send it to us via email at rightwayent@bigpond.com and we’ll get back to you as soon as possible.